Crossing the bridge -The railway bridge occupied the site of the current pedestrian Bailey Bridge which utilises the original piers. 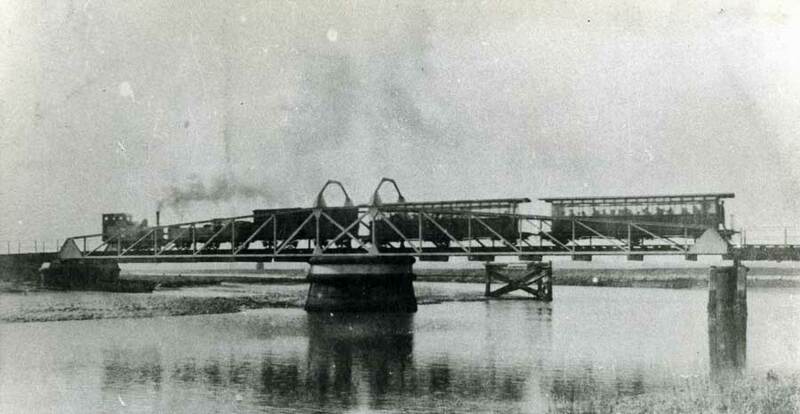 The main span was designed to pivot through 90 degrees to allow boats to pass. P017. Below: the key that unlocked the mechanism.